I love how Civilization gives us the tools to create our own history, and just like historical world leaders, commit atrocities on a scale that the human mind cannot comprehend. I noticed that the Iroquois were a bit big and powerful. This was not a good thing and it could not end well. 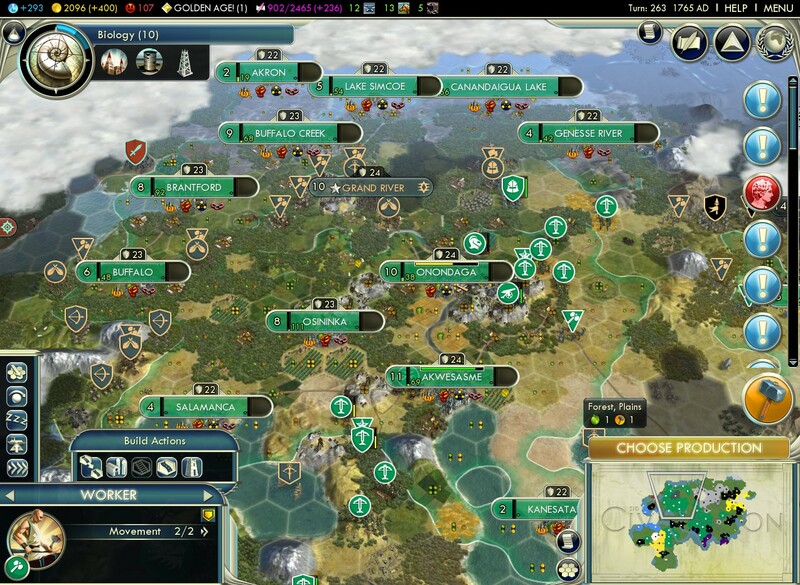 The last time someone got big and powerful they attacked me and I had to burn down a couple of their cities and capture an allied city state. Serves you right, Ramesses II. All I wanted was to be left alone and by burning down your cities I proved that I was only neutralizing a threat and had no territorial ambitions. Beside Japan. Anyway, the point I was trying to get at was that I attacked the Iroquois. My plan was to burn down about half their empire and then take a generous peace offer. Then I'd burn down half of Germany, because they were making me nervous too. I went about it in a systematic fashion, capturing a city, burning it, capturing the next, burning it. Just being a reasonable world leader looking out for the interests of his people. Somehow, he successfully recognized that my army was larger and more advanced (don't mess with the Cho-Ko-Nu). And then he offered a treaty. A very generous treaty. He gave me some gold. And every single city beside his capitol. I just want to reiterate, this was a defensive war and I have no territorial ambitions. So I burned down the entire empire that he'd handed over to me. The populations of the cities you see add up to about 68. I'd already burned down two cities of around 5 each by this point. The demographics screen wasn't of any help. Maybe the census doesn't bother with people who are going to be immolated soon. Or it excludes foreigners. But I'd put the deaths in the millions. For some context, I have conveniently played on an "earth" map. That put the burned-down area as approximately the entire European portion of the former USSR. In related news, Australia seems to be completely overrun with barbarians. 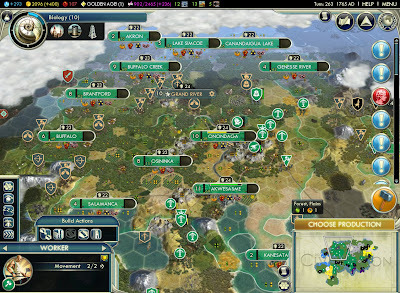 Heh, the first time I played Civ (4, it was), I neglected national defense with Montezuma as my neighbor. Whoops. I was heartbroken watching him burn my cities to the ground, and by the end I ended up giving all my cities to the Americans because they seemed the nicest, rather than let Monty kill them. On my last few turns, with only my capital, I went for Nationalism just so my people could face oblivion as a nation united. I then put all my civilian units on a boat and tried to get them to safety. My rule is to never, ever make a research agreement with Montezuma, because odds are, he's going to attack. If I'm stronger, he attacks. If I'm weaker, he attacks. If it is the ancient, classic, medieval, renaissance, industrial, modern, or future age, he is going to attack. Is the government kidnapping Cataclysm players? What's so gay about gay marriage?